Here is a directory of fire lookouts that are still standing in Oregon, 165 of them as of 2016. Not all of these lookouts are standing in their original locations. I only included structures, not crow’s nest lookouts. 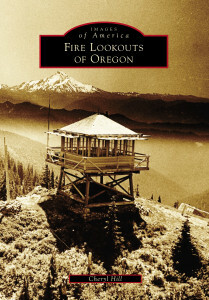 The areas refer to the regions defined in Ray Kresek’s book Fire Lookouts of the Northwest as well as the firelookout.com website. * Indicates a lookout that is on private property, reservation land, or is otherwise inaccessible to the public. Here is a map of every standing fire lookout in Oregon. The markers with black dots indicate lookouts that I’ve visited.